In episode 281, Douglas Brown interviews Brad Peterson, Vice President of Marketing at Workspot. Douglas and Brad discuss the current state of the Desktop Virtualization world, along with what happened to the “Year of VDI”, the the future of solutions like Citrix XenDesktop and VMware Horizon View, plus a bit about why they feel Workspot is the solution and VDI 2.0! 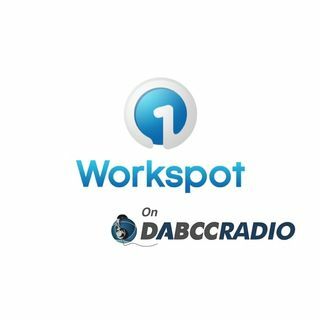 Workspot has reinvented Virtual Desktop Infrastructure (VDI) with its cloud-native VDI 2.0 and ... See More Desktop-as-a-Service 2.0 (DaaS 2.0) solutions. Workspot solves the corporate challenge of securely delivering apps, desktops and data to any device and helps organizations achieve unprecedented time-to-value for VDI implementations. With a focus on customer satisfaction, Workspot offers the shortest implementation times in the industry. The Cupertino, Calif.-based company received the Best of VMworld 2016 Gold Award for Desktop and Application Delivery solutions. For more information on Workspot’s risk-free, turnkey solutions, visit: www.workspot.com. Brad leads marketing strategy and operations for the company’s vision of securely delivering apps and desktops in a cloud, mobile, and hyper-converged era. Previously, Brad was Vice President of Marketing at DocuSign, the global leader in eSignature and Digital Transaction Management. Before DocuSign, Brad worked with Citrix for almost a decade where he built the global EBC program, produced solutions videos driving millions in pipeline, and was a regular keynote speaker for Citrix and partner events globally. Brad joined Citrix in 2004 through the acquisition of Net6, where he relocated to the Citrix EMEA headquarters in Switzerland and launched the new security appliance business over a two-year period to a $30M run rate. Brad has also held executive roles at Net6 (acquired by Citrix), Octane (acquired by E.piphany), BayStone (acquired by Remedy) and Auspex (IPO).